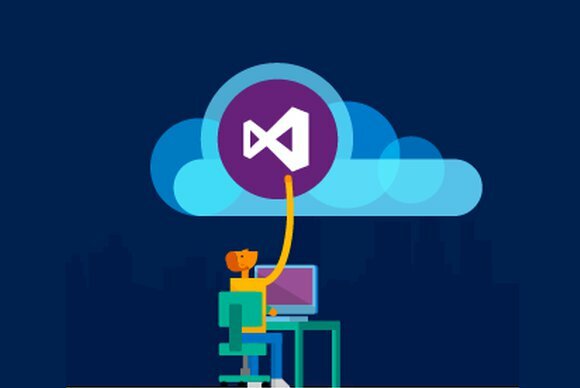 Responding to the growth of enterprise software development teams, Microsoft will allow occasional contributors to access the Visual Studio Online project development environment at no cost. Beginning Wednesday, Microsoft has added a new licensing option for Visual Studio Online, allowing an unlimited number of contributors—which Microsoft calls stakeholders—to access projects at no cost. Stakeholders have some, but not all of the privileges that full-fledged licensees enjoy. “Every company is now a software company. Therefore, business stakeholders are often more important in the development project. They are often helping define the requirements and giving feedback,” Herskowitz said. Visual Studio Online is already free for projects with five participants or fewer. The basic list price for the service starts at $20 per user per month for each participant beyond the first five. Launched as a beta in 2013, Visual Studio Online became a full commercial offering from Microsoft in April, and thus far the service has accumulated over 1.65 million users, according to the company. Visual Studio Online provides a central software development repository that can be accessed by a team of programmers, using Visual Studio or other code editors. The service also offers project metrics, management and testing tools. Since the service’s debut, Microsoft noticed that organizations had to make decisions about which workers it should license for a project, Microsoft technical fellow Brian Harry noted in a blog post last month. In the early adopter beta program, organizations freely added people to their account, including many who only occasionally filed a bug report, tracked the progress of a project or suggested an improvement. When Microsoft started charging $20 per user per month, many organizations did not buy licensees for these tangential contributors. With the new stakeholder licensing, the occasional contributor can access a project without cost. They can read, write and create work items, view the project pages, receive alerts about changes and dig into the backlog. Stakeholders, however, are not granted access to administrative functions, such as reprioritizing work items. They can’t access team rooms, nor the code, build or test hubs. Subscribers to the MSDN (Microsoft Developer Network) will also get portions of the Visual Studio Online for no charge. Microsoft has been adjusting the pricing for other cloud services as well. On Tuesday, the company added new usage tiers for its Azure SQL Database database-as-a-service, ranging from light to heavy usage.